Henry was made partner at the age of 30, having previously worked at the firm’s King’s Lynn and Fakenham offices. He joined Stephenson Smart in 2008 after completing an Economics and Finance degree at Keele University. 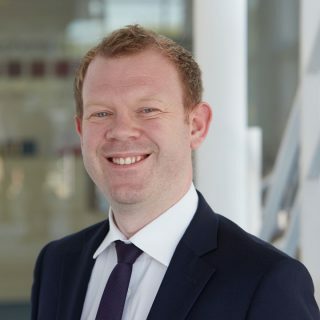 Henry qualified as a Chartered Accountant in 2011 and is one of a growing number of Chartered Tax advisors at the firm, being admitted as a member of the Chartered Institute of Tax in 2014. Henry, who is responsible for our Great Yarmouth office, acts for a wide variety of clients in all sectors and has experience in delivering a broad range of services including advising on inheritance tax and succession planning, tax compliance and the maximisation of capital gains tax reliefs. Henry is married to Mellissa Pettitt, who is a manager in our King’s Lynn office and they have a young daughter and another one on the way. He is a season ticket holder at Norwich City Football Club and has a mild obsession with Rolos!